About 70 percent of the University of the South Pacific (U.S.P.) alumni makes up Samoa’s workforce. This is according to the U.S.P. Samoa Alumni Association President and Deputy Vice Chancellor for Academic and Research at the National University of Samoa (N.U.S. ), Peseta Dr. Desmond Lee Hang. The figure shows the extent of the contribution of the university to the development of Samoa as they continue their 50th Anniversary celebration in Apia this week. According to Peseta, majority of the alumni hold senior positions in both the private and public sectors in Samoa, and this pays tribute to the success of the university in the past five decades. While he could not confirm the exact number of alumni in Samoa, Peseta said the opening parade on Tuesday showed the interest of all former U.S.P. students and his team is planning a networking event for all alumni this Saturday. “About 100 alumni are registered because this is the first time the majority has turned up and we could not collect registration yesterday (Tuesday) and we take it that they have bought their uniforms and marched under the banner of the alumni, so we assumed the interest is there." “The U.S.P. alumni network event is this Saturday at the Samoa Tourism Authority (S.T.A.) fale, and this will enable us to get a good count of members. Tickets will be available from Alice Papalii Seuseu, the secretary for the association at the Alafua Campus and costs $70 tala. The money collected goes towards catering and drinks,” Peseta said. According to him, the Association is not paying for the use of the S.T.A. fale because it is a kind gesture by the C.E.O. of Samoa Tourism Authority, who is also an alumna, Papali’i Sonja Hunter. Some of the prominent people in Samoa who hold high position and were educated in U.S.P. includes Minister of Finance Sili Epa Tuioti, Minister of Justice and Courts Administration Faaolesa Katopau Ainu’u, C.E.O. Development Bank of Samoa Susana Laulu, C.E.O. Ministry of Public Enterprises Elita To’oala, C.E.O. of Ministry of the Prime Minister and Cabinet Agafili Shem Leo, C.E.O. Ministry of Commerce Industry and Labour Pulotu Lyndon Chu Ling, Ministry of Education, Sports and Culture C.E.O. Afamasaga Dr. Karoline Fuata’i, Ministry of Justice Courts and Administration C.E.O. 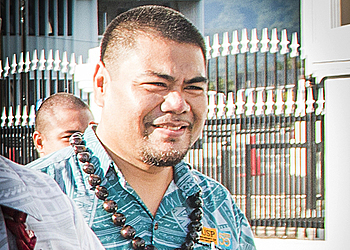 Papali’i John Taimalelagi, C.E.O. Ministry of Health Leausa Toleafoa Dr. Take Naseri, Governor of Central Bank Maiava Atalina Ainuu-Enari, C.E.O. for Ministry of Works Transportation and Infrastructure Su’a Pou Onesemo, Ministry of Agriculture and Fisheries C.E.O. Tilafono David Hunter, Ministry of Natural Resources and Environment C.E.O. Ulu Bismarck Crawley, Officer of the Electoral Commissioner C.E.O. Faimalomatumua Mathew Lemisio, Scientific Research Organisation of Samoa C.E.O. Dr. Seuseu Tauati, Samoa Bureau of Statistics C.E.O. 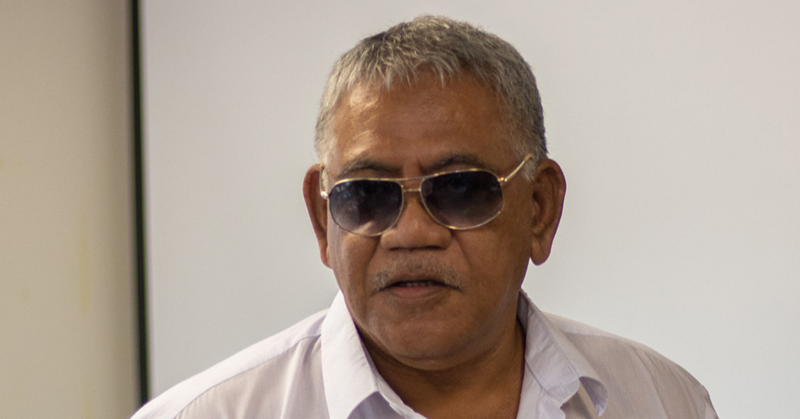 Ali’imuamua Malaefono Ta’aloga, National Kidney Foundation of Samoa C.E.O. Mulipola Roger Hazelman, Ministry of Revenue C.E.O. Avalisa Viali Fautuaalii and Pro Chancellor of N.U.S. A’eau Chris Hazelman. According to Peseta, two of the Commissioners of the Public Service Commission Aueluea Samuelu and Vaosa Epa, C.E.O. of Samoa Broadcasting Limited, who owns TV1, Galumalemana Faiesea Matafeo and numerous school principals are also U.S.P. alumni members. He said the association has been inactive for quite some time and he plans to revive it and include activities that would engage all members. “We need to diversify our activities because the members span five decades in terms of age groups to make sure that we are relevant to them in terms of membership and to make sure we use this forum and the alumni who hold key positions to engage in,” Peseta said. U.S.P. Pro Chancellor, Winston Thompson told the Samoa Observer the university has alumni of about 44,000 across the globe and many in the Pacific hold high positions in Governments and heads of departments in the private and public sectors. “The contribution of the university through the graduates it has produced has enormous consequences, not only in the individuals who are serving in this positions but the fact that you have this family in a sense, the network of graduates who know each other either their own cohorts or those who have been before them and after them. “This establishes a reconnection of the precolonial relationships that used to exist in the Pacific between the island countries and its people. The impact of the university is incalculable really, to say it has considerable consequences is understating because we can’t really explain sufficiently the many ways and levels the university has existed and done its work and trained its people who have had an influence in the Pacific Islands,” Mr. Thompson said. U.S.P. is celebrating its 50th year anniversary and the Alafua Campus has a series of event planned to commemorate the milestone achievement, including the first of its kind in the region - graduation of Parliamentarians - today and the Open Day tomorrow.